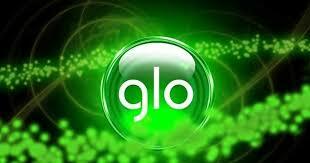 Glo now made it possible for subscribers to get 5.2GB for N100 and 10.4GB for N200. Majority of our blog readers are still enjoying MTN mPulse Trick and MTN N0.00k Free internet which is still active. Now, I'll show you how to get such a huge amount of data on Glo with little Airtime. Also, note that this isn't a Glo Data cheat but an Awoof from Glo to its users. They didn't make this public, so I am now announcing this to you guys so that you will be aware and this should make you glad and happy being here. Without much talk, let's hit the nail on the head; Please follow the below tutorial as seen below to avoid unessccesry problems. Learn how to Get 5.2GB Data for N100 or 10.4B for N200 on Glo Network. Get your Glo SIM and dial *603# to migrate to glo jollification. After migrating, recharge the line via e-top up (e.g your banking app, bank USSD code or other online channels) with N100 or N200. You will receive either 5.2GB for N100 recharge or 10.4GB for N200 recharge. Note: There is no assurance that this Glo Data awoof would work on your SIM card. It is SIM Selective. Also, there has been some complaint where some got the data but they couldn't use it, whereas some were able to use the Data.